With the club suffering so much the past three years while Berlusconi has said he was unable to keep investing in the club, the promise of new investment has fans excited for the first time in a long time. Many fans are talking about the beginning of a new era and comparing this reboot to Sacchi’s Milan. I believe the implication is that Berlusconi spent big on a few players to reinforce the squad and they immediately won everything. But the truth is, Sacchi’s Milan wasn’t built in a day. Or even a year. Currently, Milan have had 52 players out and 47 new players come into the squad in the past three years. But Sacchi’s Milan didn’t have that much turnover, despite the fact that the club had been relegated twice in the previous decade, spending the ’80-’81 season and the ’82-’83 season in Serie B. The team had a core group of players, several whom went through both relegated seasons together, and they were promoting players from their youth sector, too. Below are the squads from the year Berlusconi purchased the club through the first year Sacchi was in charge and the team won their first Scudetto. Listed with them are their positions they played as well as how long they had been at the club at the beginning of the season. All players are Italian unless otherwise indicated. Financially, the club was in shambles this year, with no fewer than three club presidents in a single season. 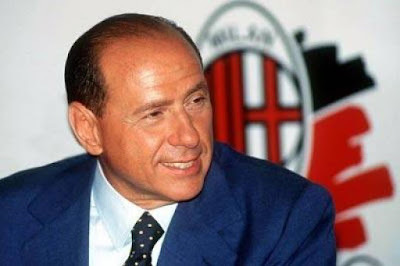 The third of which, of course, was Silvio Berlusconi, who bought the club in February of 1986. The coach was Nils Liedholm, and the club finished 7th place. In the Coppa Italia, they only made it to the Round of 16, the same as with the UEFA Cup. Squad total: 25 players. So that’s four new youth players promoted or returning, seven other new players, five players with one year at the club, five players with two to three years, three players with five years at the club, and one player with eight years at the club. Berlusconi brought financial stability and lots of cash to spend on players. Nils Liedholm started the season as coach, but he was replaced by Fabio Capello during the season. The team finished fifth in the league, but still only finished in the Round of 16 in the Coppa Italia while also qualifying for the UEFA Cup again, having not competed this season. 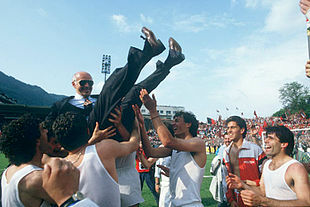 This was the year Sacchi arrived at Milan, and Milan also won the Scudetto, too - by defeating Maradona’s Napoli team. It was also the year that the first two of the three famous Dutchmen arrived, replacing the English duo of Wilkins and Hately. However the team still only made it to the Round of 16 in the Coppa Italia and only the Round of 32 in the UEFA Cup. Squad total: 21 players. There were nine new players, two returning players, three players with one year at the club, one player with two years at the club, three players with three to five years, two players with seven years, and one player with ten years at the club. While Berlusconi is known for bringing in the three Dutchmen, he also brought in new Italian stars like Donadoni, Ancelotti, and Galli. It is easy to see why he looks back and wants an all-Italian squad if he is trying to reproduce his previous results, as his teams began as ridiculously mostly Italian. But times have changed, and he’s not starting with an all-Italian base, either. Contrast these squads with our current day situation. While it remains to be seen who will stay at Milan this season, Abbiati has 14 years total with the club and Bonera has nine years with the club, both of whom may be on their way out. I think Abate is next, who only returned from loan six years ago. Our captain has only been with the club for three years, and if my count is correct, we have a whopping 14 players who have been at the club for one year or less. The club has averaged 17 players out and 15 players in each season for three years now. With many players rumored to be out or whom are out of contract, it seems that Milan simply does not have the same foundation and history that preceded Sacchi’s Milan. So splashing a bunch of cash on a handful of new players is not as likely to produce the virtually instant success that Sacchi’s Milan had, either. Is this a beginning of a new era? I think it’s too early to judge. As of this writing, the deal with Mr. Bee is still not official, although there is an agreement in place. Thus the €470m investment hasn’t transpired either. Mihajlovic hasn’t officially been made coach, but is expected to be officially named within two weeks. While reports have claimed Jackson Martinez has chosen Milan, new quotes from the player himself indicate that he has not yet chosen a team. In fact, the mercato hasn’t even officially opened up yet. So while all signs indicate that change is on the horizon, there are other warning signs to heed, too. It’s just too early to know what kind of a team Milan will field in September when the mercato closes. Obviously, there should be a change in fortunes. 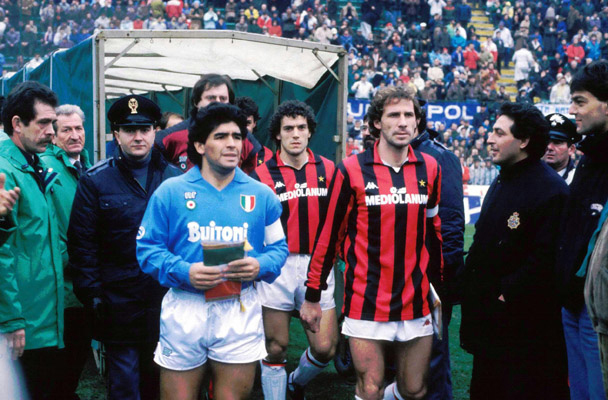 But one thing is for certain, it is unlikely that we repeat the era of greatness that was Sacchi’s Milan without the foundation he had to work with. After all, Sacchi’s Milan wasn’t built in a day. Guess Who’s Coming to Milanello?